So you’ve decided you want to become a real estate investor, but you are not sure where to begin? Don’t worry; we have your back. People that have considered real estate to be attractive think about the lifestyle it brings: vacations, being your own boss, and passive income. Although these images of the successful real estate investor are often depicted, it requires a tool belt of skills to make those dreams a reality. So how do you obtain that tool belt of skills? I thought you never ask. Before learning how to invest in real estate, all newcomers should gain some general understanding of the different types of real estate. You would not just walk into a random stockbroker’s office and give them all of your hard earned money. No, you would want to know more about his or her track record; it’s the same thing in real estate. It is better for you to know what it is you want to invest in first and then place your money accordingly. When considering investing in real estate, get an idea on what type of real estate you want to invest in. You should ask yourself: “What do I find interesting” as a way of aligning your interest with your investment. Residential real estate is the first thing that comes to mind when people think of real estate investing. Residential real estate includes properties in which someone pays you to live there. These include apartments, houses, and townhomes. These properties have many forms of agreements depending on the contract, but most leases are built on twelve-month contracts. Commercial real estate is real estate that is often office buildings and skyscrapers. The majority these properties are used for cash flow instead of capital gains, which is buying and holding in hopes the price of the property increases. This option in real estate allows for a more stable cash flow because businesses typically sign a multi-year lease. Industrial real estate is properties that use land and/or buildings for industrial purposes and activities. Industrial real estate includes assembly, manufacturing, mines, and warehouses. These properties get leased out to companies for longer-term contracts. Retail real estate is properties you typically do most of your shopping in. These properties are your malls, shopping centers, and grocery stores. Retail real estate investors often get paid a percentage of sales that the tenant generates to make sure the property is welcoming to potential customers they have. Real estate investment trusts or REITs is a form of real estate investing without dealing with the properties physically. When you invest with a REIT, you are buying shares of a cooperation that has a portfolio of real estate. REITs are gaining more popularity in the investment community and are great for getting your foot in the door in the world of real estate investing. Have you ever wondered if there were a way to be a real estate investor without owning real estate and with little to no money? Wholesaling is connecting a buyer and seller and making a profit off of the spread. Wholesaling is another great way to get your foot in the door. Real estate like any other market can bring in great returns on your investment, but it all starts with you. How well do you know your market? Will you be a dedicated investor? What will be your niche market? There are a myriad of questions you have to ask yourself to make sure this is right for you. Real estate has made many rich, but there are no shortcuts to success. Do not get discouraged; your hard work pays off, often in multitudes. 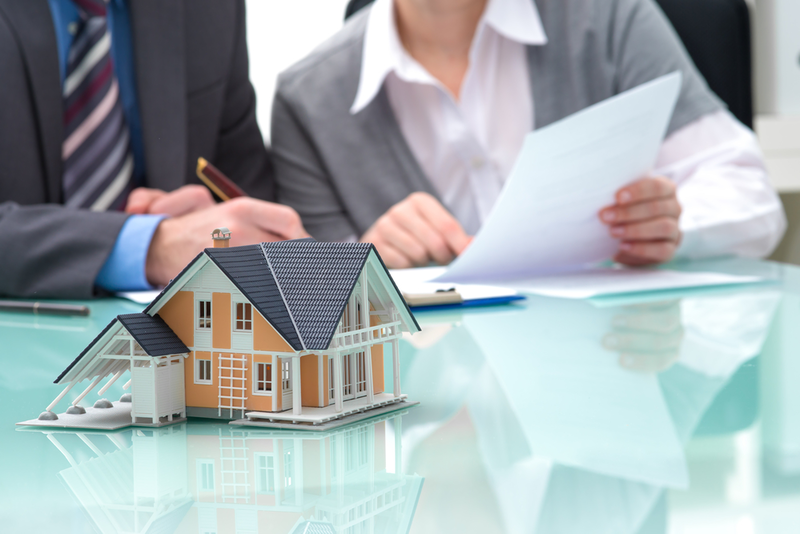 Real estate brings a slew of benefits when you become an investor. Besides the obvious cash flow opportunities it presents, it also brings money multipliers that will aid in capital accumulation that can make you a wealthy person. These breaks allow you to invest more into the economy and create more jobs and housing for everyday people. Appreciation is when the price of a property raises; this is called Capital Gains. This is a bonus incentive to cash-flow investing if you plan on holding on to the property for a longer duration of time. When you sell your property, this turns into a profit. You can even pay zero taxes on capital gains if you meet the criteria. Speak with a professional on details. Again, who doesn’t like tax deductions? These deductions offered to investors for creating stimulus in the economy allow you to write off your expenses for the year. Keeping more of the money you earned is only fair, right? These deductions in expenses include travel, home office, depreciation, interest, education, even intangibles like fees called Amortization. Consult your certified public accountant for more details. Your vocabulary is your foundation. Knowing what you want to invest in is one thing; knowing what you’re y talking about is another. Talking the language of real estate adds to your credibility and confidence when talking to potential business partners and could save you from some unforeseen events. Do your due diligence and learn the language. Skills specific to your niche is vital to your success. Learn how to close a deal multiple ways to make your deal successful. Follow up with clients; they may not be open to a deal then, but they may be a business partner in the future. Communication and negotiation are other skills you will need in your tool belt. Master these, and it will make your business much, much easier. Risk-management is another vital component in business and investing. Risk Management reduces risk when conducting business and on potential investments. No one likes to lose money. By increasing your financial IQ you can mitigate common pitfalls investors make and save money. Books, conferences, and seminars are your friend! Investors continue to teach themselves what they do not know. Understand you will never know everything, but you can shorten the gap by continuing to learn. When you attend these conferences and seminars, you meet other investors that become part of your network. Solidifying your foundation with the right language allows you to build your network on top of it. The successful investor surrounds his or herself with people smarter than them. Understand you will need a solid team around you in order to become the best investor you can be. If you try to do everything by yourself, you will eventually grow frustrated and burnt out. Avoid this by building the right team around you. Real estate investing may seem overwhelming, but if managed correctly can bring you untold success. Before investing one penny into real-estate, understand you must be prepared to put in the work to become a successful real estate investor. If you are up for the challenge, this is for you. Real estate is exciting and fun, but do your research, grab a mentor, and come with an open mind. This will lead you to become the best real estate investor you are destined to be.